Swedish developer The Bearded Ladies has snuck out this year’s best tactics game just in time for Christmas. Though we seldom actually crossed paths, the Mutant franchise seems to have dogged me like a stray puppy for as long as I can remember. Older kids would talk about the tabletop RPG and how great it was in school. I would find Mutant Chronicles minifigs when I was out looking for new Warhammer models to paint. While drunkenly looking for some Ron Perlman movies, as you do, I would find the god-awful movie adaptation. I also bought the SNES game, Doom Trooper, in a box of games at a flea market, and so on. Perhaps it is time we stopped pretending and actually opened our heart for each other because after spending many a night in post-apocalyptic Sweden, I think I’m in love. Nowadays, any game that labels itself a tactics game is bound to be compared to XCOM at some point and Path to Eden is no exception. Battles will instantly feel familiar to XCOM players: you have two action points to spend per character and round to play around with and each character has two weapons that they can use. Dealing damage to an enemy usually ends your turn while movement and abilities let you spend them more freely. While I love to see these games be more experimental with the use of AP, I have to admit that it’s fairly balanced and works well in this case. Outside of combat, the changes to the formula are more apparent and the RPG legacy starts to shine through. Your characters are fleshed out and talk to each other in a way that is more reminiscent of RPGs than tactics games. You also have direct control over them and can walk around freely to explore outside of combat. Speaking of which, exploration is key to surviving the tough battles Path to Eden will throw at you. Out in the world, you will find scrap, medkits and other useful things that can give you a much-needed edge in combat. It is also very important to set up your battles because, like most tactics games, encounters are tipped in favor of the enemy. Unlike most tactics games, however, Road to Eden is really hard. Which is where the sneak mechanic comes in. As you approach a hostile area, you will start seeing a red circle around the enemies, representing their detection radius. Before any real battle, it is paramount to sneak around the enemies and collect the extra loot and medkits you can find and, above all, ambush stragglers before things get heated. Because of this emphasis on stealth, you also need to consider what weapons to equip as some of the silenced weapons do less damage but will allow you to kill off enemies without being detected. The star of Mutant Year Zero: Road to Eden is the world building. Things look and feel great as you walk through the lush post-apocalyptic forests and explore bombed out schools and pizza parlors. Set just a few generations after the world met its end at the hands of climate change, plague and war, there are still a lot of remnants from that age out in the world for you to discover. This also makes it very obvious that the setting is a future Sweden, northeast of the city of Gothenburg to be more precise. It is nothing you will actually notice unless you are able to read Swedish, but I had a great deal of fun puzzling out where exactly we were walking around by looking at old road signs and notations on the map that are written in Swedish. To help with this world-building Road to Eden does wonderful things with the Unreal Engine: every nook and cranny is filled with details and high-resolution textures and it really makes a big difference. The great use of lighting and shadows also goes a long way to making the forests you wander through pop and come alive. It works great in selling the world and it’s just light years away from the rather drab and dull looking maps you fight on in XCOM 2. It helps tremendously in selling the setting as well — the forests really feel like old Swedish forests. I grew up close to a swath of forests that have been forbidden to cut down or change in any way for about 200 years: they are filled with moss, fallen trees, and the ground is covered by fern and small shrubs everywhere. It’s also very dense and dark, not letting in much of the sunlight at places. This is exactly how the forest areas feel in Road to Eden, they are places that have been abandoned and unused by humanity for a hundred years or more. The story in Road to Eden revolves around the Ark, a shelter built high above the treetops, and its stalkers that go out to scavenge for resources. You start the game as Bormin the boarman and Dux the duck. On their way back from an expedition into the zone, they learn that the head technician of The Ark, the guy that keeps it going, is missing somewhere up north. This prompts you to set out on an expedition to find out what has happened and bring the man back. On your way, you meet other stalkers and start to learn more about the world itself through the characters. They wonder what has happened out in the world and why there are no mutant corpses lying about when the ground is literally covered with bones and dead humans. They discuss the legend of ‘(p)izza’ and ‘fala(fel)’ and the palace they ran. 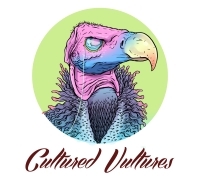 They encounter mysterious buildings where ancient monsters called ‘stoo-dents’ would learn ancient magic and make horrific scrawls and drawings. Again, for the people who understand Swedish culture, it is sprinkled with small nuggets and nods that are quite entertaining. For instance, having the artifact hunter playing an old record of ‘dansband’ (dance band) in his shop is an especially horrific stroke of genius. Road to Eden is not without its blemishes, however. The difficulty spikes really fast, and encounters can soon seem ridiculously hard to deal with. To make matters worse, the supply of free medkits starts to dry up quickly and you have to use your scraps to buy them back at the Ark. While I really enjoy the challenge, I can easily see that some people might find it abrasive. Luckily, there is an easy mode which will let your party heal between battles without the use of medkits, which removes a lot of the difficulty. Another thing that I would have loved to see done differently is the progression system. As it is now, it is very linear, and you have few actual choices both in terms of your character’s mutations and improving the weapons you get. I would also have loved to be able to see abilities and weapons be used outside of combat. Dux can eventually fly, so why aren’t you able to fly up on the roof ahead of battle? Borman can eventually eat corpses for health, but only during the battles themselves. Perhaps the balance would be compromised if you could use them whenever you wanted to, but the way it works now is not very elegant and doesn’t make sense within the world itself. Technically, I haven’t seen much in terms of bugs, but characters will sometimes teleport to you instead of trying to pathfind their way there. It only applies to your allies and never happens during combat, so it doesn’t matter that much but can still look a bit odd at times. The lack of a minimap also felt a bit frustrating in a game which wants you to explore the maps for resources. On the other hand, though, it compelled me to really look at the environment and discover things I might not have done otherwise. 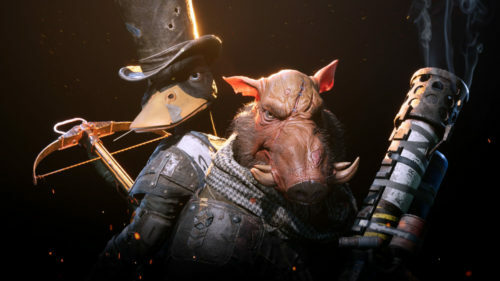 That said, Mutant Year Zero: Road to Eden is a fantastic game that anyone who likes tough as nails tactics should really check out. Everything from the combat to the stealth to the world itself is masterfully implemented and works together to create a truly great experience. Road to Eden is a great example of what a little world building and RPG mechanics can do for a tactics game.